We have currently reviewed 6 Grado headphones. They're a well-known brand in audio for their unique designs and open, on-ear headphones for critical listening. Unique Designs. Grado headphones have a unique old-school look that sets them apart from any other headphones available on the market. Their hand-crafted, circular, wood or metal ear cups and their simple but premium-looking headband designs are iconic. They're also one of the few headphone brands that make open on-ears for critical listening. Above-Average Sound Quality. Grado is popular amongst audio enthusiast for their typically accurate reproduction of instruments and vocals and their surprisingly spacious soundstage, especially for small, on-ear ear cups. However, they have a pretty unique sound profile that doesn't vary much between iterations of the same lineup and tends to sound a bit too sharp and bass-lacking for some. Mediocre Noise Isolation. Grado specializes in making open-back headphones. This means most of their lineup, excluding some of their in-ear models, perform poorly for isolation. They do not block any considerable amount of noise, and they leak a lot. They are not versatile headphones for everyday use and are not ideal for commuting, sports, or the office but they're a good option for critical listening. Lack of Diversity and Features. Most of Grado's lineup consists of wired, open on/over-ear headphones. They do not have any noise canceling or wireless models. No apps, no fancy features to enhance your listening experience and nothing to personalize the headphones. If you're looking for feature-packed everyday headsets you can use on the bus and at work, Grado may not be for you. Overall, Grado is a niche but well-known brand in audio that makes unique looking, handcrafted headphones for critical listening. They reproduce instruments and vocals well and create a spacious soundstage thanks to their mostly open-back ear cups. However, their distinct sound profile may not be for everyone. They tend to sound a little sharp and lack a bit of bass. Also, their handcrafted design, while nice to look at, are not always the most durable or well-built. Grado headphones follow a simple naming strategy for most of their lineup, as shown below. Prestige = This is the entry point lineup for most Grado users. They're a collection of affordable open-back on-ears meant for critical listening. Reference = An over-ear lineup with wooden ear cups and slight improvements to the driver shape for a better critical listening experience. Statement = Bigger over-ear models with a more polished design and larger drivers. However, they're also a lot pricier. Professional = Another more luxurious lineup of headphones, with chrome, coated ear cups but the same over-ear designs as the reference and statement lineup. In-ear = The in-ear lineup, affordable and portable but not as well known as the over series of headphones from Grado. Limited Editions = The custom handcrafted models, made to highlight special occasions, or as a cross-promotion with other brands and artists. The best Grado headphones for critical listening we've tested so far are the Grado GW100. They similar design, look and feel to the rest of the other Grado headphones we've tested but they're wireless. this makes them a bit more convenient for casual use especially with phones that do not have a headphone jack. 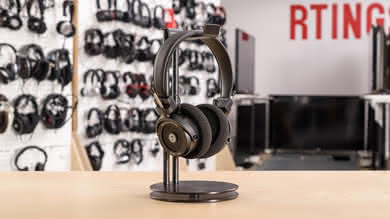 However, since they still have open back earcups they won't be as versatile as some of the other wireless headphones we've tested and will not be the best options for commute and travel. On the upside, they improve on the sound quality with a bit more bass than the rest of the lineup and with their wireless control scheme they're a bit more practical to use on the go. Grado is a good brand for uniquely designed critical listening headphones. They do not offer much in terms of features and headphone diversity, but if you're looking for a retro-style headphone for your critical listening sessions, then the Grado lineup is a good option. They do especially well with instruments and vocals but may sound a bit too harsh and bass-lacking for some. Also while the handcrafted designs look great, they do not have the most durable build quality, especially for some of their pricier models when compared to other brands. Discover our recommendations for the best critical listening headphones.